It's no secret that I'm not a dainty flower. I'm a clumsy girl, usually found with messy eyeliner, mud covered boots and chipped nail polish. So products that can help me cheat my way to looking a bit more put together are right up my street these days. 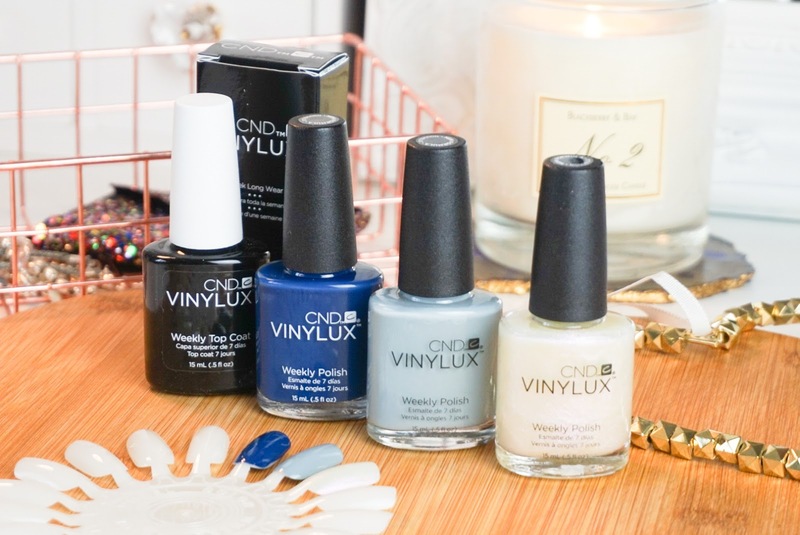 CND Vinylux nail polishes are infused with Vitamin E, Keratin & Jojoba Oil to be good to your talons, while also being long lasting and chip-resistant for up to 7 days. The polishes are designed with a thick formulation to help for a simple 2-step process that cuts out the need for a basecoat and the new brush applicator is the perfect shape for an easy application. I've been test running some shades from the CND Vinylux Glacial Illusion collection and the application, finish and staying power has blown me away. 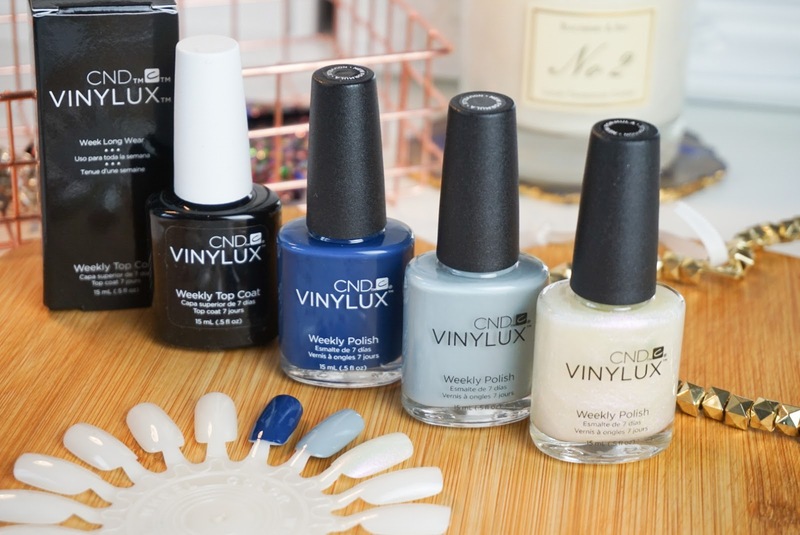 The CND Vinylux Glacial Illusion collection* consists of six shades and I've got my hands on three of them and the weekly top coat. Ice Bar 262 - A glitter / iridescent shade, shown below by itself and on top of the Mystic Slate tip as an accent. Even as a clumsy girl, these polishes have lasted over seven days wear on me. But the secret is in the top coat. The brand have what they call "pro-light technology" built into the weekly topcoat which means the polish hardens and becomes more durable over time through exposure to natural light. To have a nail polish last more than two days on my nails without chipping is something of a feat for me so I'm already eyeing up more shades from the CND Vinylux range. *All posts on www.eyelinerflicks.com contain PR Samples unless otherwise stated.